How to delete the registered Iris in Samsung Galaxy S8 plus? a). 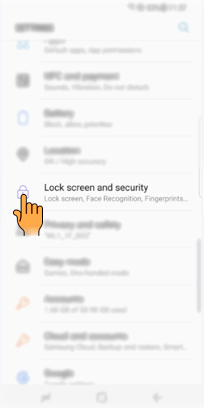 On the Settings screen, tap Lock screen and security. b). Tap the Iris Scanner. c). Unlock the screen using the preset Screen lock method. d). Tap Remove iris data. Once the registered irises are deleted, all the related features will also be deactivated. CLICK HERE to know about Iris scan security in Samsung Galaxy S8+ ( SM-G955 ). How to turn on Motion & gestures in Samsung Galaxy S8+?